Alli: On a scale of 1 to America, how free are you tonight? Me: Cuba. I need permission first. Alli: On a scale of 1 to America, how free are you tonight? 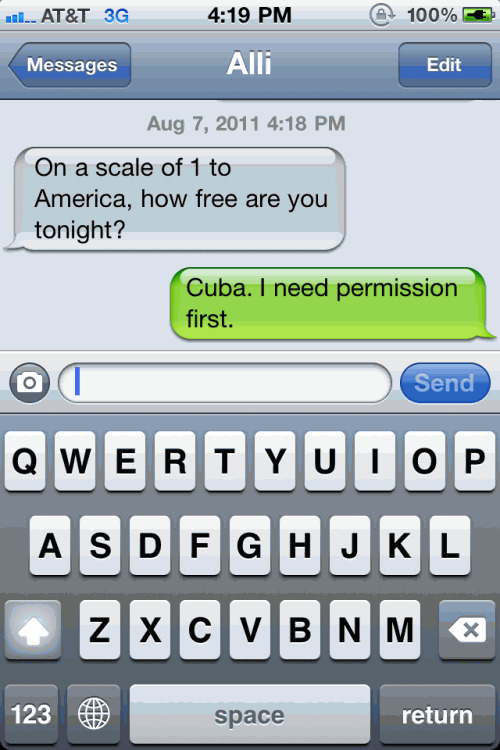 Me: Cuba. I need permission first.